Samsung Electronics announced today that it would start a full scale production of Exynos i T200, Samsung's first Exynos-branded Internet of Things (IoT) solution. Exnos i T200 is a is built on low power 28 nanometer High-K Metal Gate which features high processing capabilities and Wi-Fi connectivity. Exynos i T200 does not require an extra microcontroller IC in the system as it has Cortex-R4 processor and an additional Cortex-M0+ processor. It has received certification from the Wi-Fi Alliance and operates at 802.11b/g/n single-band (2.4GHz) bandwidth. It has also received Microsoft Azure Certified for IoT. It also supports IoTivity which is an IoT protocol standard from the Open Connectivity Foundation (OCF). Samsung claims that IoTivity allows this device IoT to achieve seamless interoperability. 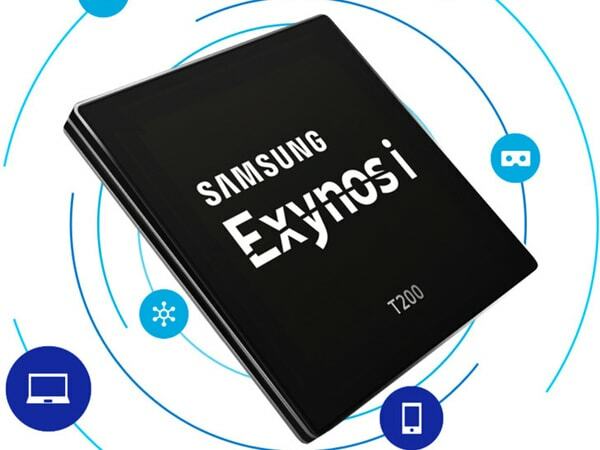 Ben Hur, Vice President of System LSI marketing at Samsung Electronics stated,"The Exynos i T200 is an IoT solution optimized to deliver both the performance and security demanded in the IoT market. With various Exynos solution offerings, Samsung will deliver further differentiated value to not only mobile devices, but also non-mobile spaces, including automotive and IoT." Exynos i T200 uses security management hardware block known as the Security Sub-System (SSS) to take care of security and privacy threats. Security and privacy threats make IoT vulnerable to malign elements and thus Samsung seems to be taking no risk in the matter with additional measures such as the Physical Unclonable Function (PUF) IP.